This benefit provides members with 24/7 access to board certified physicians either a phone call or click away. Consultations are available by phone or video, and there are no limits on types of consults or frequency of use. Physicians can discuss symptoms, recommend treatment options, diagnose many common non-emergency conditions and prescribe medication when medically appropriate. Teladoc is NOT health insurance. ©Teladoc, Inc. All rights reserved. 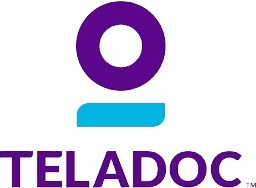 Teladoc and the Teladoc logo are registered trademarks of Teladoc, Inc. and may not be used without written permission. Teladoc does not replace the primary care physician. Teladoc does not guarantee that a prescription will be written. Teladoc operates subject to state regulation and may not be available in certain states. Teladoc does not prescribe DEA controlled substances, non-therapeutic drugs and certain other drugs which may be harmful because of their potential for abuse. Teladoc physicians reserve the right to deny care for potential misuse of services. Not available in the state of Arkansas. The state of Idaho only allows video consultations. Video consultations are not available in the state of Texas. Prescriptions in Georgia are limited to three days. Teladoc can effectively treat the majority of our most common diagnoses within this three day limit.